Here is another sweet bread recipe that makes a great homemade gift. The best part about this bread is the glaze on top of it. O-M-G! It is SOOOOO good. It is made with orange juice. It really gives this bread a whole new level of flavor. I would love to slice off the top hump of the bread and just eat that all by myself. I don't, but I want to. This recipe makes two loaves. I always give one away. This bread is dangerous in our house. We have absolutely no self-control when it is around. This makes a great hostess gift or easy gift for a teacher, neighbor, co-worker or friend. I promise they will love it! Preheat oven to 350. Grease two 9x4-inch loaf pans. In the bowl on an electric mixer, combine the sugar, oil, eggs, poppy seeds, lemon juice and extracts; beat until well blended. Combine the flour, baking powder and salt; add to sugar mixture alternately with milk, beating just until moistened. Pour batter into prepared loaf pans. Bake for 55-60 minutes. Combine glaze ingredients until smooth; drizzle over warm loaves. Cool 10 minutes before removing from pans to wire racks. This would make a great gift for me Stephanie! I just love this bread, especially the glaze! Question...how is this different than cake? 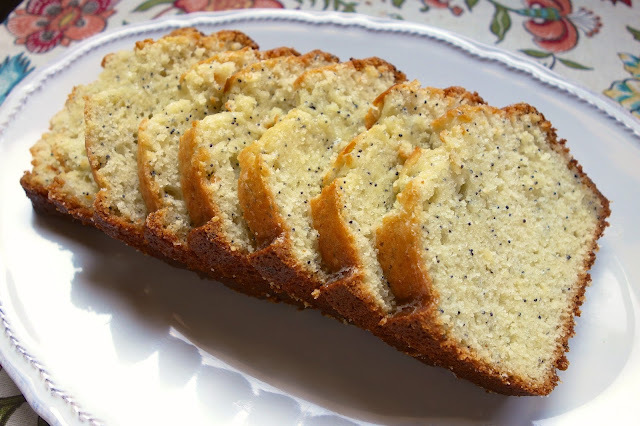 I buy poppy seed cake from the grocery store every once in a while...good stuff. I love the glaze on the top and the richness and moistness of the cake. I made this on Sunday to take to church for snacks. I had to improvise since I didn't have any orange juice in the house. I took a large spoonful of peach jam added a splash of water to dilute it and make it liquidy and used that instead of the orange juice. Hey, a girls gotta do what a girls gotta do. It was yummy!! I have been struggling trying to figure out something to finish off a gift basket for my secretary for Christmas. This will be perfect! 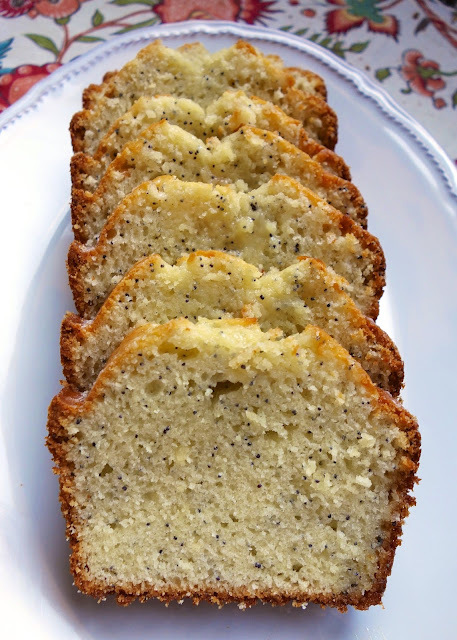 I make the Jen & Mary's Orange Glazed poppyseed bread all the time. We love it. I am going to try this version. Made it this morning ,At first it was going to be too much milk ,but the more I stirred the better it looked. It turned out beautiful ! It even taste great ! Thanks ! This looks so good :) I love almond and I am with you -- love that top bit of bread the best!